As a well-established organisation within the mining industry, rail industry, defence industry, marine industry and emergency response sector, Stott Industrial has become a leader in the delivery and distribution of quality products for industrial lighting applications, rust prevention solutions, corrosion prevention solutions, intrinsically safe lasers, wire rope lubrication systems and power distribution solutions. 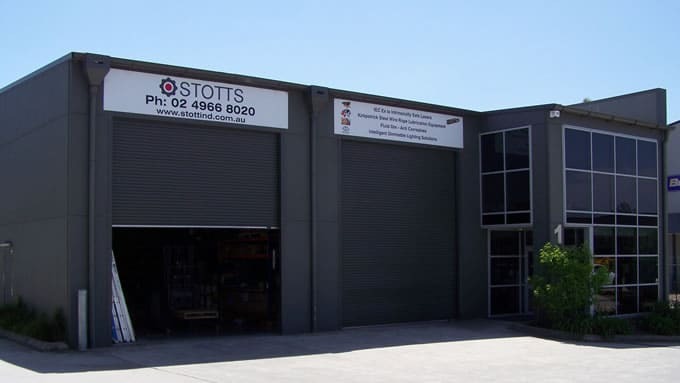 Stott Industrial is a Newcastle based business offering quality product solutions since the 1990’s. Stott Industrial prides itself on the delivery of quality solutions that satisfy their customers’ demands. With its early success in the 1990 as the first company to develop the certified and approved intrinsically safe laser for the Underground mining industry. Stott Industrial has led the industry in the development, sales and support of this unique approved intrinsically safe laser. As the major developer and producer of intrinsically safe lasers, Stott Industrial will continue to lead this race and the future development for many more years to come. Being dedicated to the delivery of these solutions has led Stott Industrial to become one of the leading suppliers in Australia for specialised lighting systems for Railway lighting applications, marine lighting applications, military lighting systems, emergency lighting systems and mining lighting products and solutions. With the ongoing success in the delivery of quality solutions, Stott Industrial will continually endeavour to provide the solutions its clients and the market needs. We offer quality and reliable solutions not just a product, we supply you with what you need and deliver quality and value. The organisation that runs the race and sets the standard that others will have no choice but follow. The delivery of solutions that meet the requirements, delivery and quality of our client and their expectations. We offer our clients a level of service that ensures support in the most efficient manner, with an attitude of zero excuses.